Practice Management (PM) systems form the backbone of any medical practice, helping physicians and their staff manage appointments, keep track of patients, and perform medical billing. 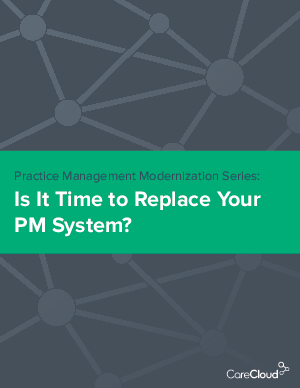 While government incentives have put a spotlight on Electronic Health Records (EHR) in recent years, now is also a critical time for practices to take a close look at their PM systems. Many in use today are outdated, making daily tasks harder than they need to be, slowing staff down, and causing anxiety around industry changes like ICD-10.